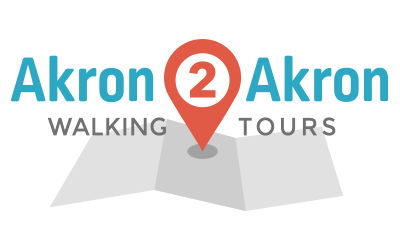 Learn about the Industrial & Commercial History of Akron while enjoying the fall colors of the Cascade Valley. Denny Reiser, Bob Schneider, and Guy Marentette, will lead small groups of you back in time from when the Ohio & Erie Canal was in its infancy, up until the great flood of 1913 which was the end of the Canal's function and use. The Canal is said to have been the main reason Akron exists, as there were so many locks in such a short distance as it ascended and descended the Continental Divide, that travelers got off their boat while it made it's way through the many locks, spending a day or longer along this area, many never getting back on the boat they got off of, staying in Akron. You will learn about the canal, the mill race, as well as the many mills and furnaces along the mill race. You will learn about the industrial and commercial history of Akron, and how the names Crosby, King, Perkins, Schumacher, and others shaped this city. Parking: Cascade Valley Park Trial Head parking lot off of W. North St. near N. Howard St. Lock 14 at North St.
We want to share our story with more people - our mission statement is to preserve, protect and promote the industrial, commercial and cultural heritage of the Cascade Locks Park along locks 10-16 of the Ohio & Erie Canal.